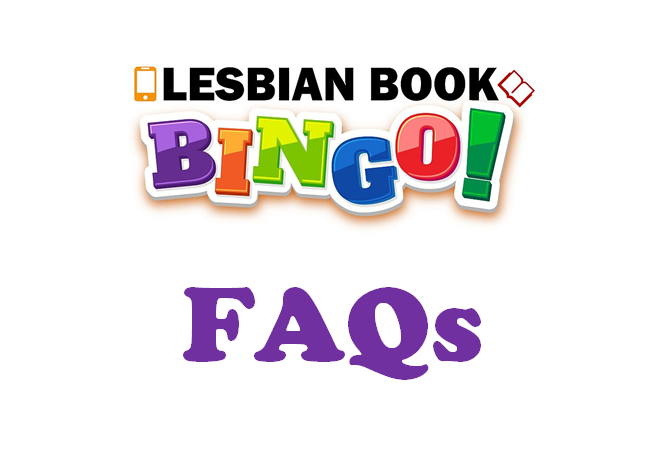 I’ve had questions about some of the squares of the Lesbian Book Bingo card, so I thought I’d post a short FAQ. For this square, please try to read books with a main character who is bisexual, pansexual, trans, queer, intersex, asexual, or identifies with a letter of the LGBT+ community other than the L (lesbian) since the L is covered by all the other bingo squares already. The category is named LGBTQIA+ because no one would recognize what it’s supposed to mean if I left the L out. In this category, look for books with a main character who has a physical disability, a chronic illness, or a mental illness. Remember that there are “invisible” disabilities, too, which are not immediately apparent, e.g., chronic pain, fibromyalgia, MS, depression, etc. A summer read is a book that is set during the summer months, which might mean June to September in the US and Europe, but December to February if the story is set in Australia, or that takes place in an exotic location where people go on vacation, e.g., a beach, an island, a cruise ship, etc. Traditionally, an age gap romance is considered a romance novel in which there’s an age difference of at least 10 years between the two main characters. The main focus isn’t so much the specific number of years, though, but the disparity in experience and life stage, e.g., one of them is in college, while the other already has a successful career. In May/December romances—which are a subcategory of age gap romances—there’s an even bigger age difference between the lovers. One partner is in the spring of her life, while the other is in the winter of hers, so it’s an intergenerational relationship. A holiday book is a book in which one of the winter holidays such as Thanksgiving, Christmas, Hannukah, etc. plays a role. Again, “winter” refers to winter in the northern hemisphere, but, of course, the book can be set in the southern hemisphere during the holidays too. Paranormal fiction is set in our ordinary world, just with a paranormal twist added, for example, werewolves, vampires, ghosts, or shapeshifters exist along with humans. If you take away the paranormal creatures, you’d be left with our current world. Fantasy is set in an alternative world that has its own culture. Mythology and magic often play an important role. The two main characters have once been in love with each other, but for some reason, things between them didn’t work out. Now, years later, they meet again and get a second chance at happiness with each other. They could be former lovers or even ex-wives. Sometimes, the two weren’t a couple in the past because they were afraid to confess their feelings to each other. If one main character gets a chance at happiness with someone else or at a new beginning in general, the book isn’t a second chance romance. If you have any other questions about the bingo squares & categories, please let me know! Jae, thanks for the clarification on these categories. I do have one other question. For the second chance category, do you mean with the same person years later or does this include a chance with someone new after the end of a long term relationship from either a break-up or the death of one of the partners? Or maybe even after the break-up of a hetero marriage as in Kate Sweeney Love at Last? I was wondering the same, and also a second chance in life, like someone who is out of prison and wants a second chance to be better. No, that would be called a “redemption” novel. See my answer below for what makes a second chance romance. Second chance romances are defined as a romance between two people whose relationship didn’t work out the first time around, and now they are getting a second chance for a happily ever after with each other. Suspected that was the case but wanted to be sure. Thanks for putting together this really cool game Jae! Now I’d better get going seriously on filling up my first bingo card! Hi :) when I looked up being Emily by Rachel gold. It came up with “just girls”. Is it the same book? When reading about it it mentions a trans girl in a dorm. I think “Just Girls” is the sequel to “Being Emily.” But it certainly qualifies for the LGBTQIA+ square too. Just girls is book 2 although can be read as a stand alone. Main character is Tucker (lesbian) who comes out as a trans girl to defend a trans girl (who she doesn’t actually know and isn’t there at the time) from some transphobic women. Emily (from the first book) is one of her friends and is referenced in the book slightly. It’s a really good book and highly recommended – lots of thought provoking stuff in there too. Is any book with a ghost considered paranormal? I can’t think of one that I would not classify as paranormal, so I’d say yes. For the fake relationship category, do books where the fake relationship is between a lesbian and a guy count, and then along comes another lesbian? Like “Rescue Me” by Julie Cannon? No, for the “fake relationship” square, the fake relationship needs to be between the two main characters. So in the end, the fake relationship will turn into a real one. does the foodie romance category include books set in a vineyard/brewery? Or is it strictly food only, not drink! I usually interpret the categories in a pretty generous way, so yes, let’s count brewery and vineyard books as foodie romances (assuming they are romances). I’m trying to find a good romantic comedy to read. When I looked the catagory up online Under a falling star came up under that category. Would you agree that it would fit in the romantic comedy category? It has 2 storylines, and one of them is set in the past. I would say if the book is about equally divided between the two storylines, you can count it as historical. If most of the book is set in the present, maybe pick a different book for the historical fiction square.